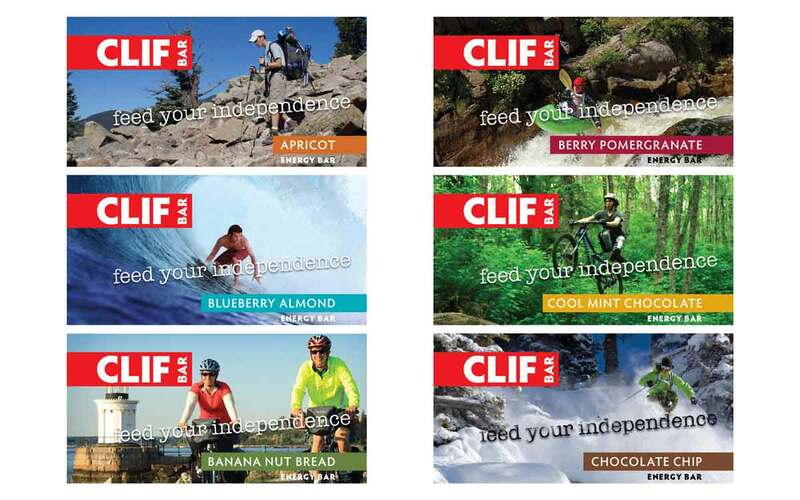 Since Gary’s (Clif Bar founder) epiphany in 1990 and the subsequent launch of the CLIF Bar brand in 1992, CLIF Bar has experienced tremendous growth while defining a new market for energy bars. 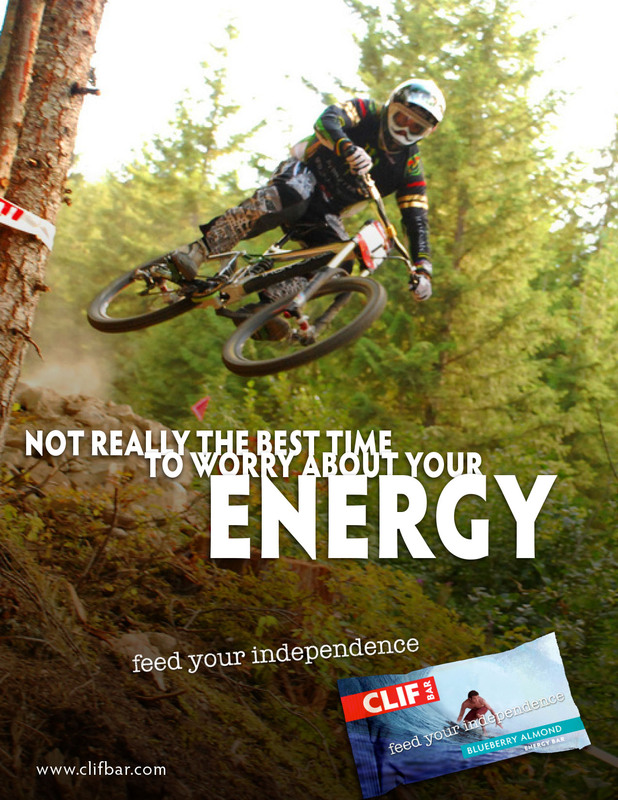 The energy bar market has become confusing and cluttered. 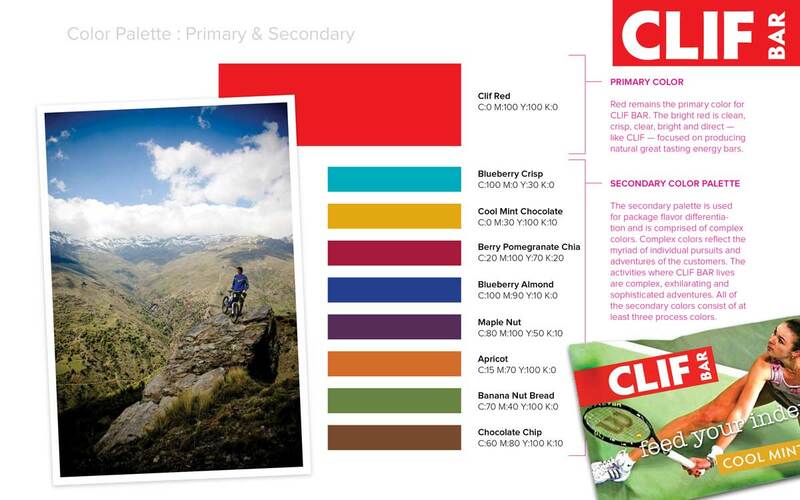 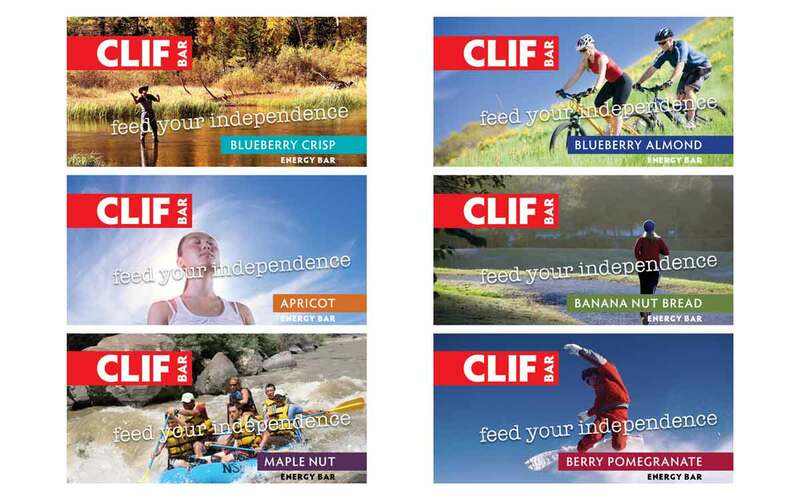 CLIF Bar needs to be flexible and take advantage of new opportunities to attract and connect with emerging audiences. 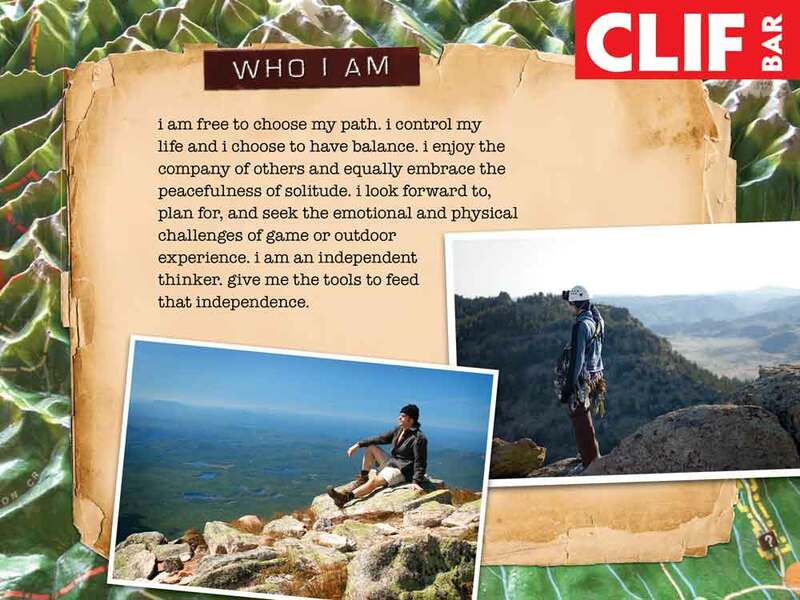 Both new and existing target segments can be broken down into four groups: adventure, outdoor, busy lifestyle, and healthy living. 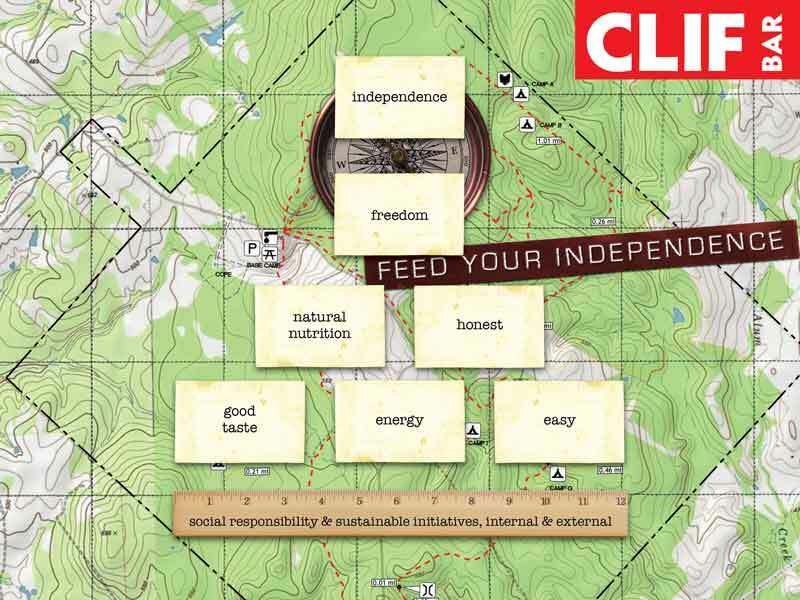 As part of the Clif Bar rebrand, the microsite opens up a new channel of interaction with independent minded fans. 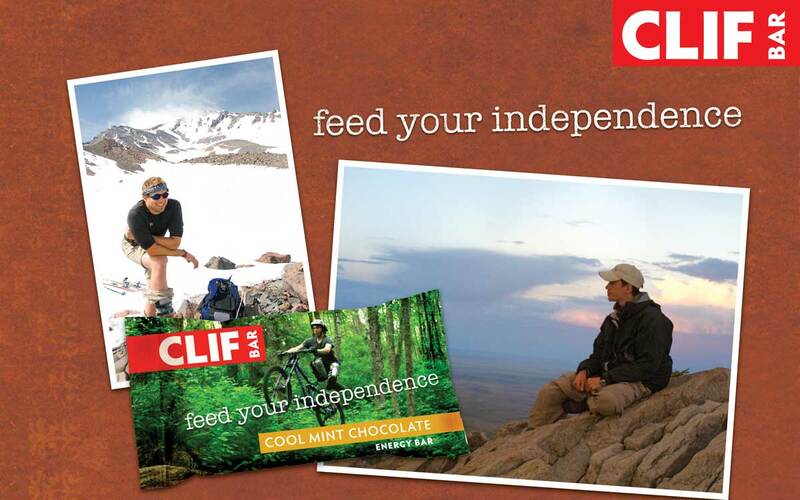 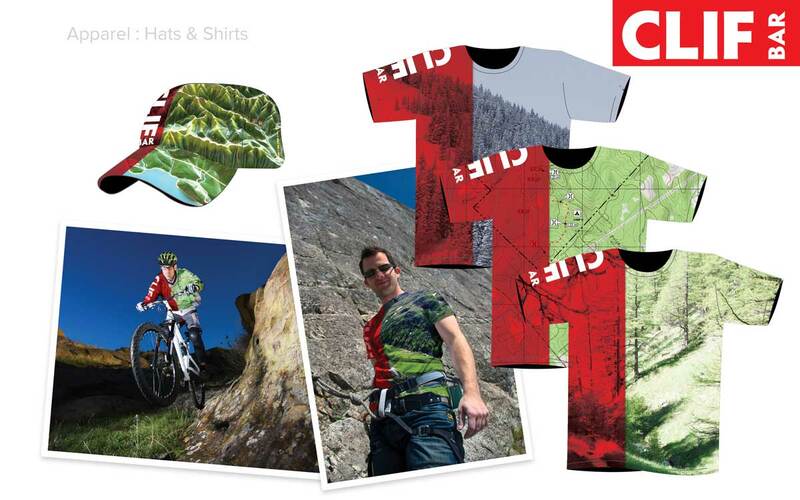 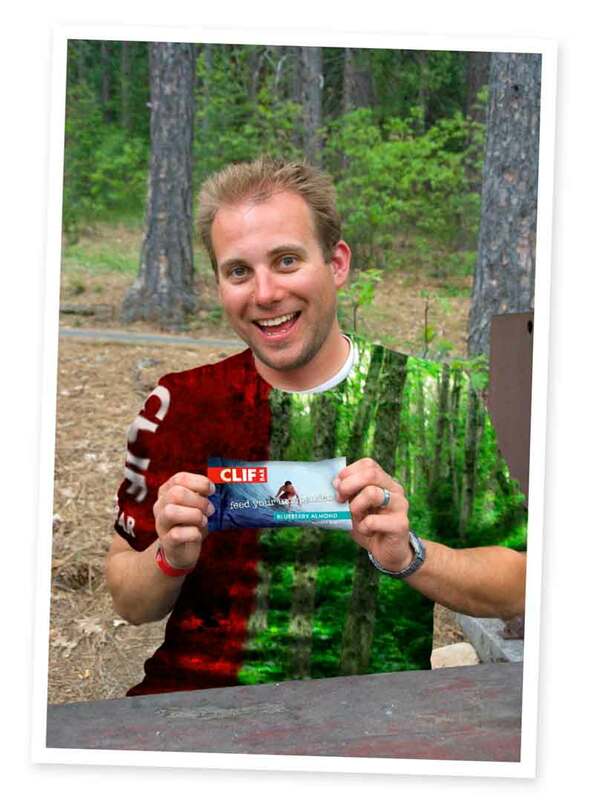 MyClifBar.com is a separate engagement tool from the product centers main website and becomes a social hub for fans to upload and share their photos and videos, vote on their favorites, learn about Clif Bar products, participate in Clif blogs, get information about special Clif Bar events and win a chance to get their photo on Clif Bar packages. 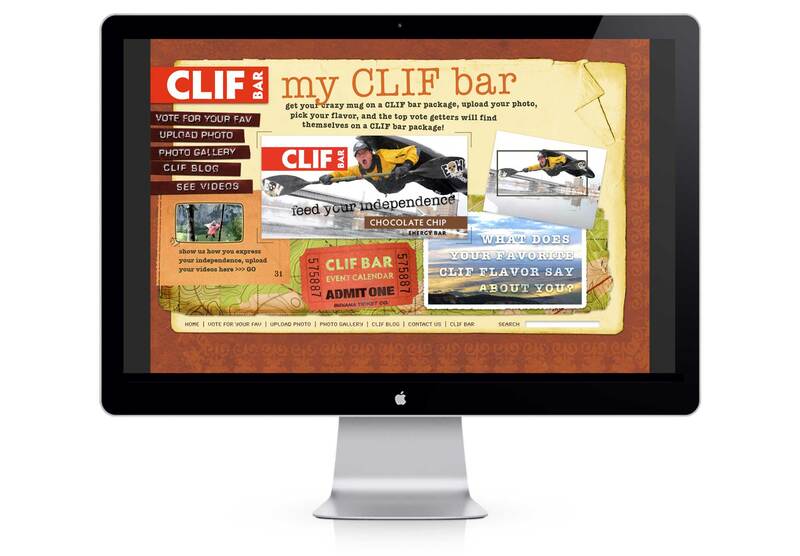 Tools were developed to interact with the four audience groups. 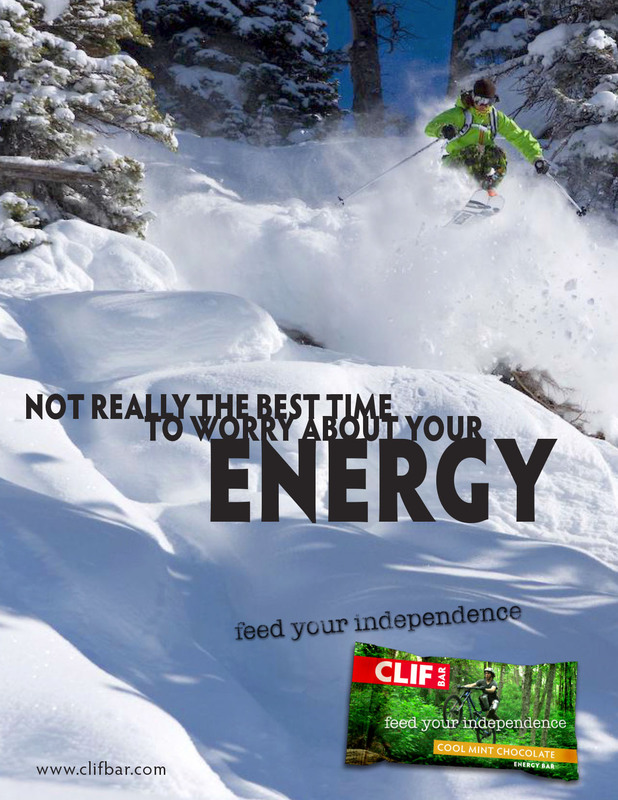 The ad campaign targets active outgoing individuals of all ages — independent thinkers who want to feed their passion for the outdoors and the thrill of adventure. 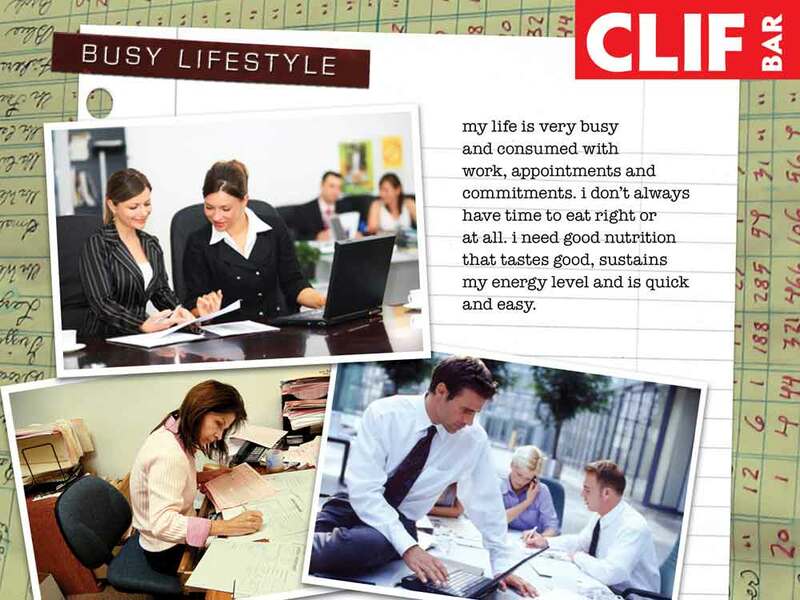 This project was done as part of my graduate work at Texas State University. 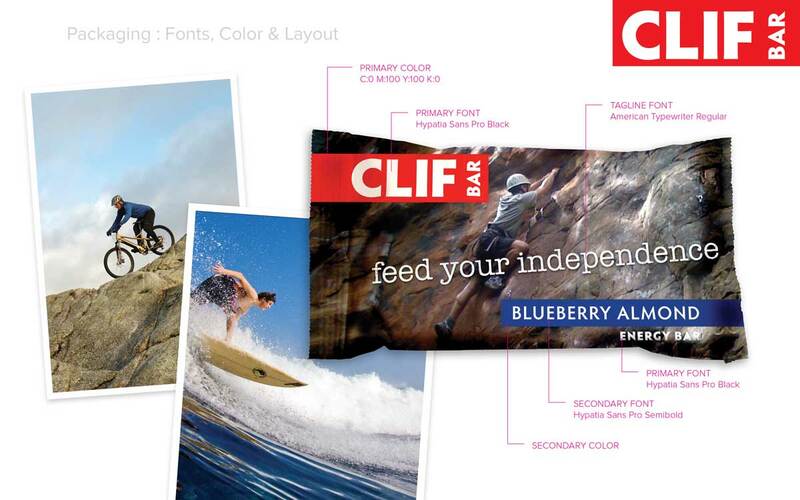 I developed the audience profiles, positioning, key messaging, brand strategies, logo update, advertising concepts, microsite, packaging, apparel and in-store displays. 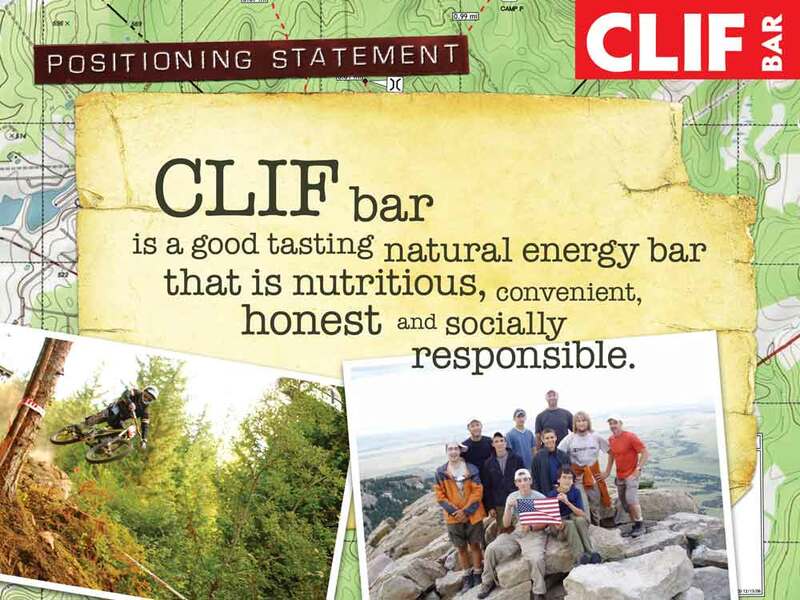 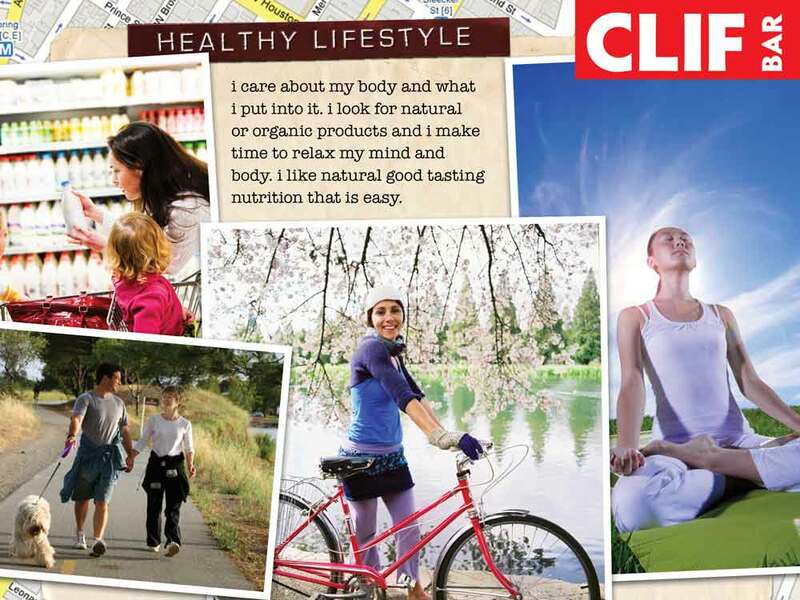 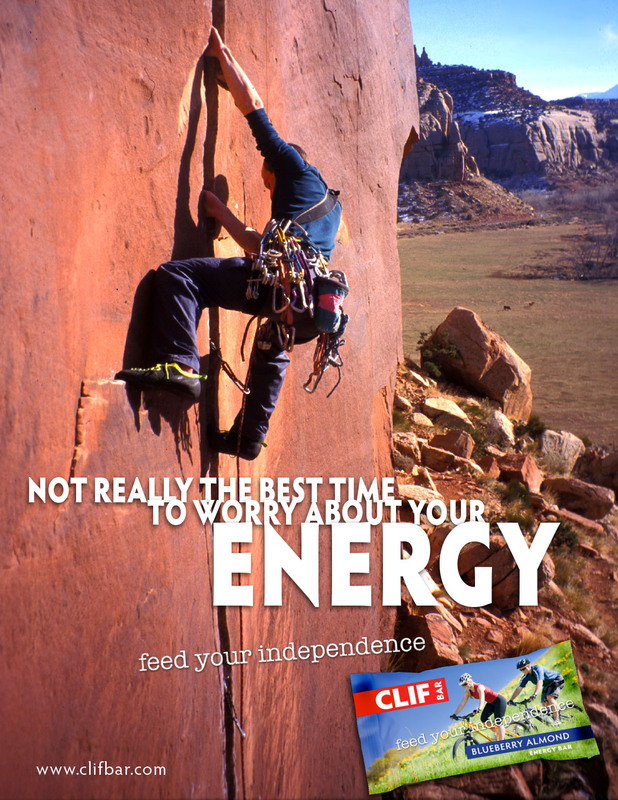 Cliff Bar is a good tasting natural energy bar that is nutritious, convenient, honest and socially responsible.